Shemar Moore is an Oakland, California-born model and actor who currently stars as the lead in the television series ‘S.W.A.T’. He rose to fame after playing the role of Malcolm Winters on ‘The Young and the Restless’ for almost a decade. The talented and seductive Emmy Award-winning actor, who is a graduate of Santa Clara University, has had to answer tough questions regarding his sexual orientation and the possibility of there being a spouse behind the scenes. Here is all you need to know about him. Shemar Moore was born Shemar Franklin Moore on April 20, 1970, in Oakland, a major West Coast port city with a significant black population, in California. As a child, Moore lived in Denmark and later Bahrain due to his mother’s work. He said his mother tried to protect him from the ongoing civil unrest and racism that embroiled the United States in the 70s. He also noted that interracial relationships were frowned upon at the time and with him being a product of one, she did not want him to experience the hatred. The family, however, returned to the U.S in the late 70s and moved to Chico, another city in California. He first attended a private British school while in Europe before joining Henry M. Gunn High School in Palo Alto, California. He then attended Santa Clara University where he graduated with a major in Communication and a minor in Theatre Arts. While in college, Moore did a few odd jobs to pay his bills as he played varsity baseball with huge hopes of making it to the majors as a professional baseball player. Those dreams were, however, flushed down the drain after he got an injury that meant he could not continue playing. Moore then focused his attention on getting to Hollywood but first had to pick up a few modeling jobs to sustain himself. After college, Moore relocated to the city of angels, Los Angeles, to began his pursuit of an acting career. To the surprise of his family members who did not think he was making the correct decision, Moore landed his first big role in ‘The Young and the Restless’. He featured in the soap opera for eight years before quitting but has gone back to make additional appearances after that. Moore was outstanding in the show. His performance in the first season earned him an Emmy and Image Awards nomination for Outstanding Younger Actor and Outstanding Younger Actor in a Drama series, respectively. He went on to win eight awards for that particular role, including a Daytime Emmy in 2000 for Outstanding Supporting Actor in a Drama Series. The show helped define Moore’s career as other projects began to come through. He made his big-screen debut in 1998 in Hav Plenty and later starred alongside Morris Chestnut and Bill Bellamy in the 2000 romantic comedy, ‘The Brother’. Immediately after Moore left The Young and Restless in 2005, he was cast in the police procedural crime drama, ‘Criminal Minds’ where he played the role of Derek Morgan, a supervisory agent in the behavioral unit of the FBI. The show turned out to be another defining project for him, earning him an Image Award for Outstanding Actor in a Drama Series. He worked on the show for 11 seasons before leaving it to join the cast of ‘S.W.A.T’ in 2017. Is Shemar Moore Married to a Wife? 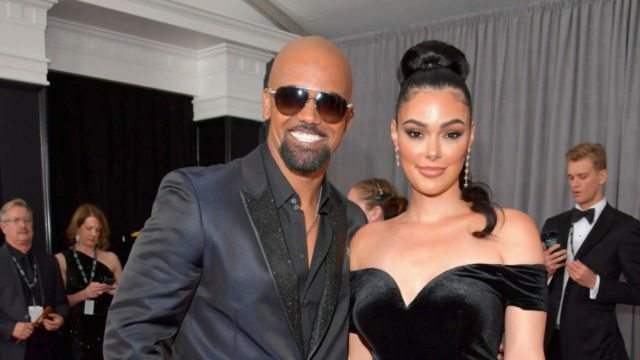 This may shock you to hear, but Shemar Moore has never been married and has no kids that we know about despite dating more than a few women which include high profile names such as Toni Braxton, Halle Berry, Ashley Scott, Kimberly Elise, and Lauriane Gillieron. Speculation has indeed suggested that the actor might be gay and has only dated these women to maintain an image. That rumor was later on fueled when Moore was pictured hanging out with a supposed gay fan in what appeared to be a gay nightclub. Shemar Moore was quick to debunk this rumor by first asking people who think he is gay to send over their girlfriends to his house. He noted that he had gay fans and would not discriminate against any of them while further insisting that he was as straight as anyone out there is. Read Also: Who Is Adewale Akinnuoye-Agbaje? Is He Married To A Wife? Shemar Moore is of mixed race as stated above. His father, Sherrod Moore, is African American while his mother, Marilyn Wilson, who worked as a teacher and business consultant, is Caucasian, of Irish and French-Canadian descent. His parents divorced when he was still an infant, prompting him to be raised by his mother. He describes her as his everything while crediting her for teaching him how to appreciate and respect women.